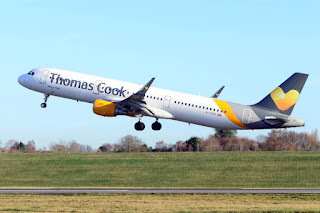 The most recent strike by members of the British Airline Pilots Association (Balpa) working for Thomas Cook lasted for 24 hours after the union and the airline couldn't come to an acceptable understanding and agreement after days of talks. The airline had to reschedule some flight, as many as forty, but there could be more strikes on the way. "Tortuous negotiations at Acas have failed to resolve the pay dispute between Thomas Cook and Balpa pilots" advised Balpa general secretary, Brian Strutton, “Whilst both sides have compromised there is still a considerable gap." The union indicate they gave a long period of notice to Thomas Cook before conducting the industrial action and even eased their stance in light of recent metrological disasters. “Balpa has given ample warning to enable Thomas Cook to change its schedules and minimise passenger disruption. I have also offered strike dispensations to help out in the hurricane-hit Caribbean. Our argument is not with passengers." Balpa announced via social media at the weekend that two further 24-hour strike days are scheduled for 29th September and 6th October, if no agreement can be reached. Thomas Cook Airlines say they would continue to try and work with the union and the pilots to avoid strike action, however, it is believed the airline is also investigating short-term hire contracts for pilots from overseas to mitigate any further strike action.